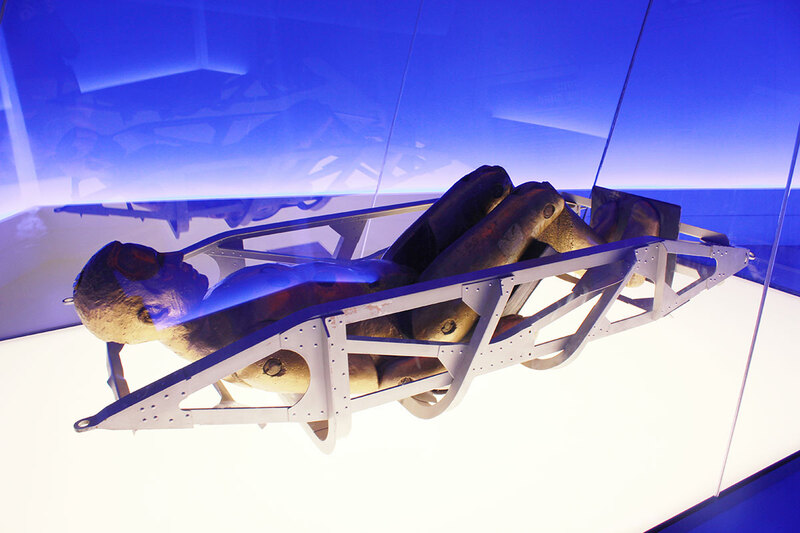 In 1969 this cosmonaut mannequin was sent around the Moon in the Zond 7 spacecraft as a precursor to a manned mission. Sensors were set into its body to measure radiation levels. Its face is in the image of Yuri Gagarin. This entry was posted in Science Museum, The Space Race. Bookmark the permalink.